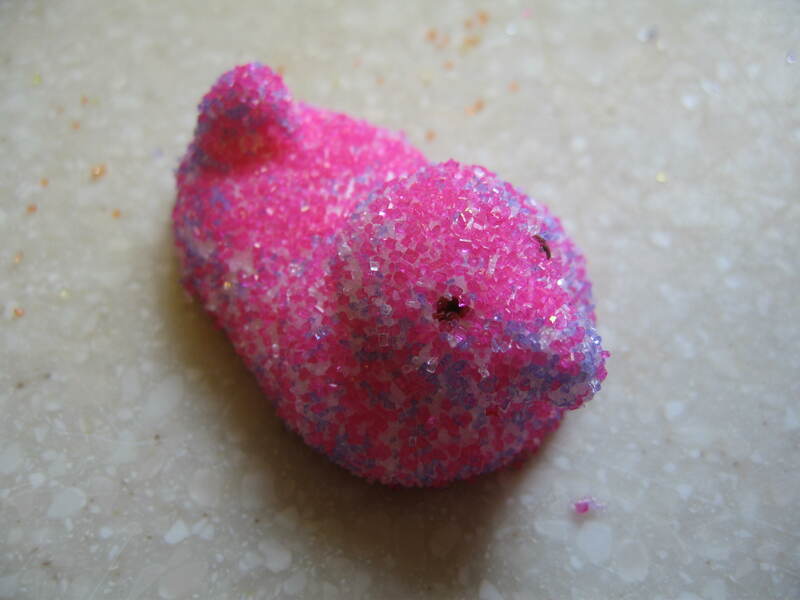 My friend Ashleigh, you may remember her from French Macaron Day, asked me if I wanted to make Peeps this week. Duh, WINNING. 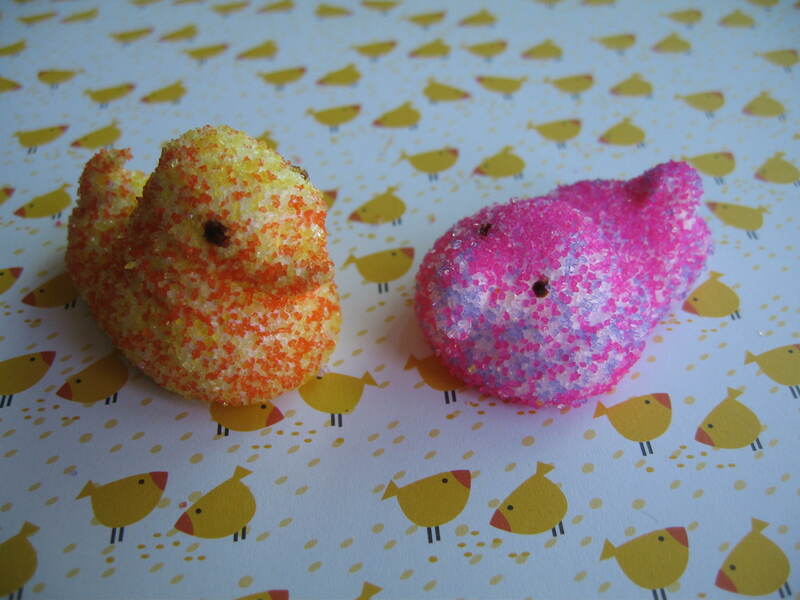 How much fun would it be to make our own Peeps the day before Easter? (Lots!) 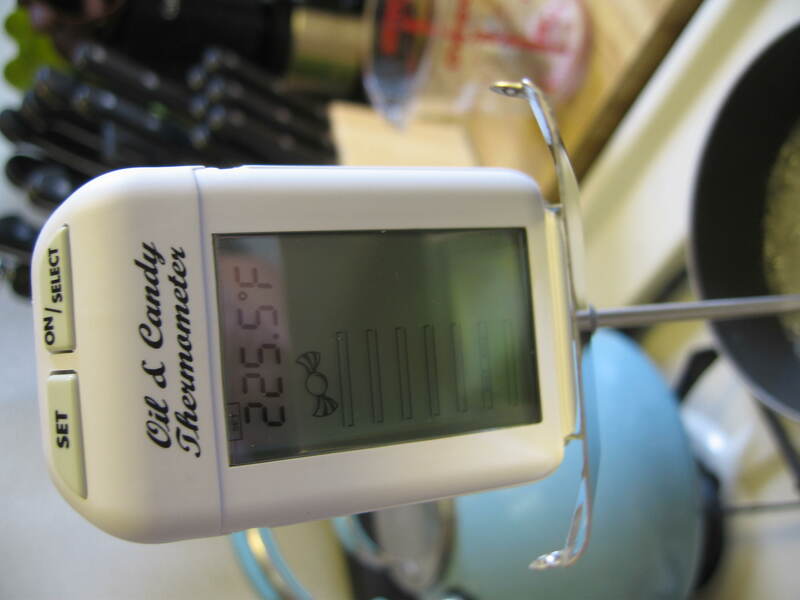 And it was also a great excuse to test out my new candy thermometer! 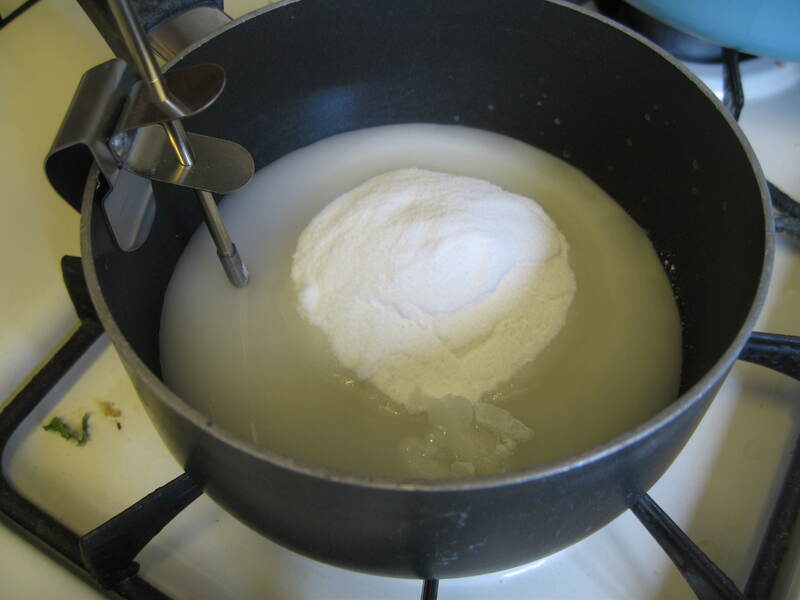 So it was decided, and we got together to make some marshmallow magic. We followed this super simple recipe from Erin’s Food Files, and were surprised how quick and easy the process was. Only 3 ingredients, plus decorations. 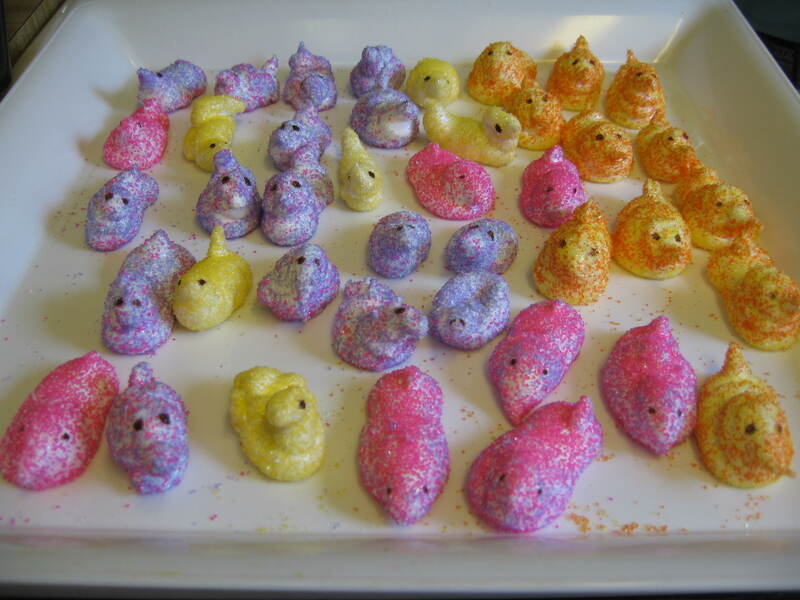 Trust me, once you make them you’ll realize how silly it is to buy the stale-tasting, preservative-filled Peeps you see in stores around this time. Seriously, these came out so fluffy and good. Mmmmm…. Anyways, here’s the super simple recipe and the photos that go with it. 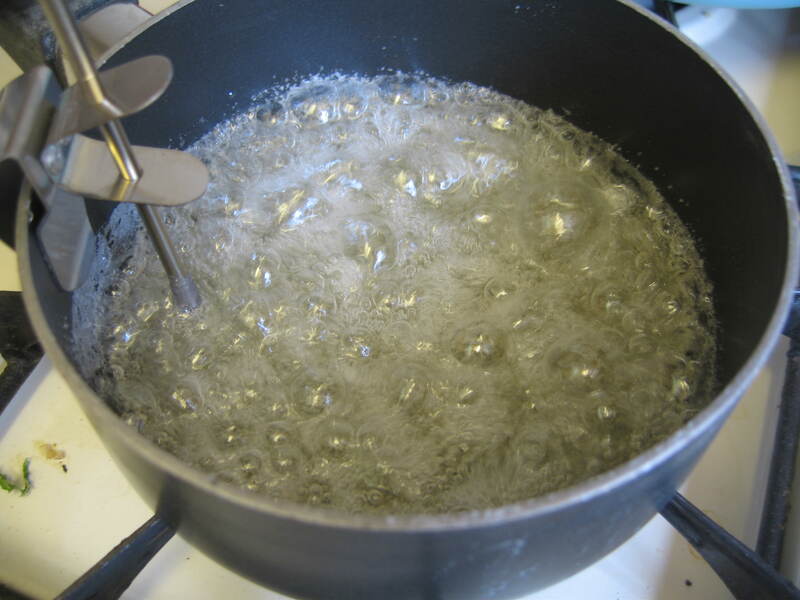 I want to point out first thing that yes, you do see water twice in the recipe above. 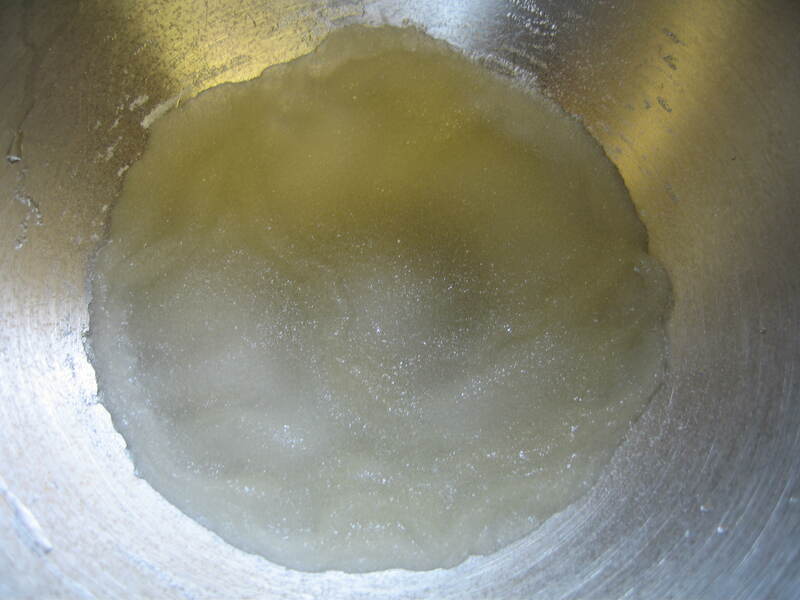 In the bowl of a mixer, sprinkle the gelatin over the 1/3 cup water until it softens. 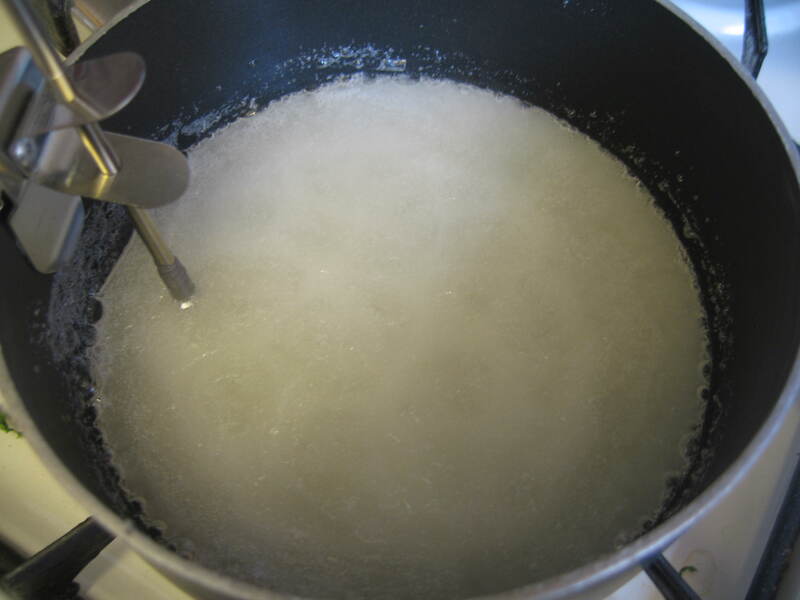 Let the mixture come to a boil. 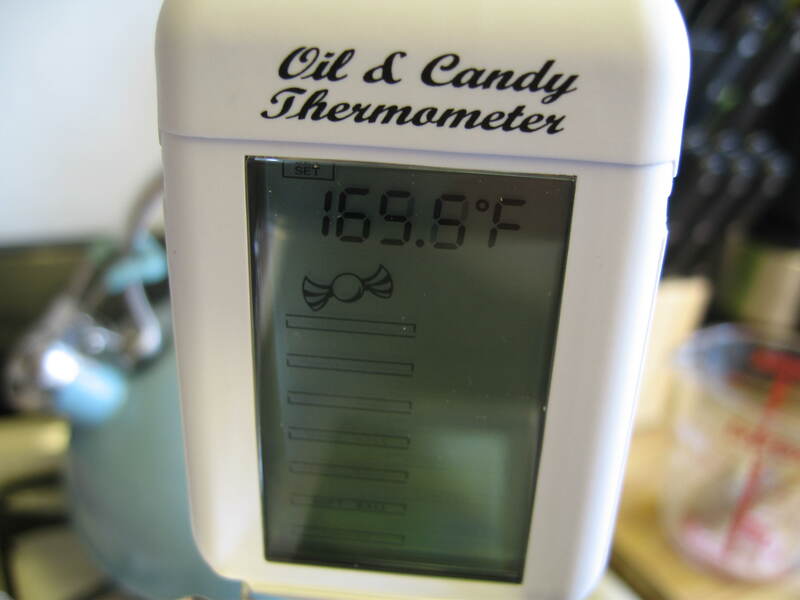 Once it reaches soft-ball stage (your thermometer will alert you of this – temp is 235 F), remove it from the heat. 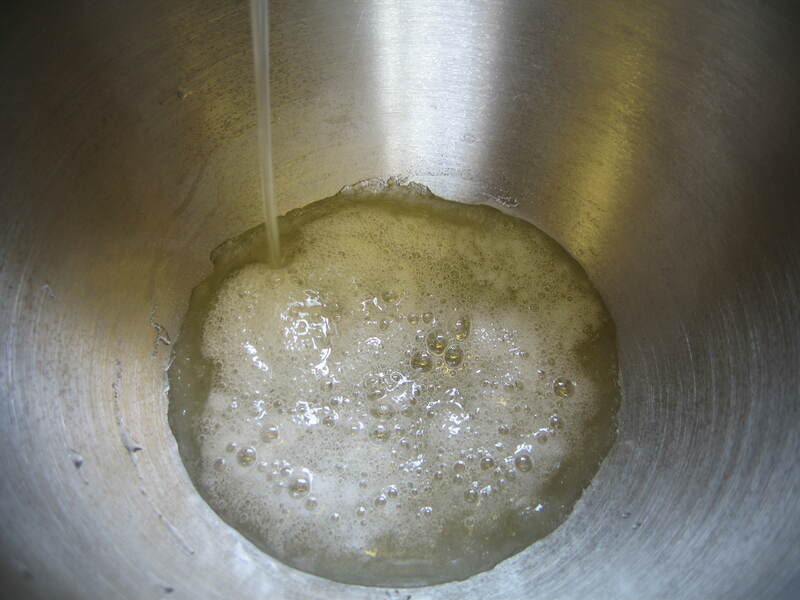 Pour the syrup over the dissolved gelatin, and hand-stir with the whisk attachment of your mixer. 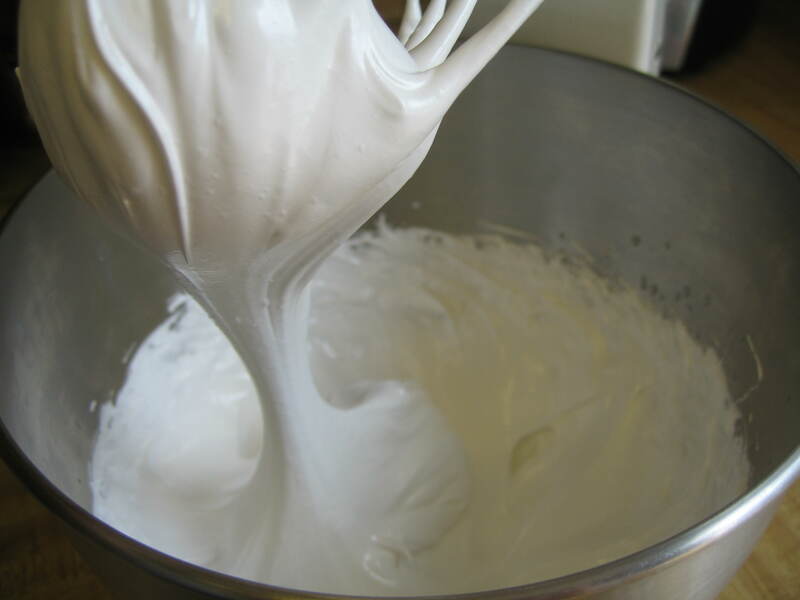 You only need to do this for a couple of minutes to help cool down the mixture. 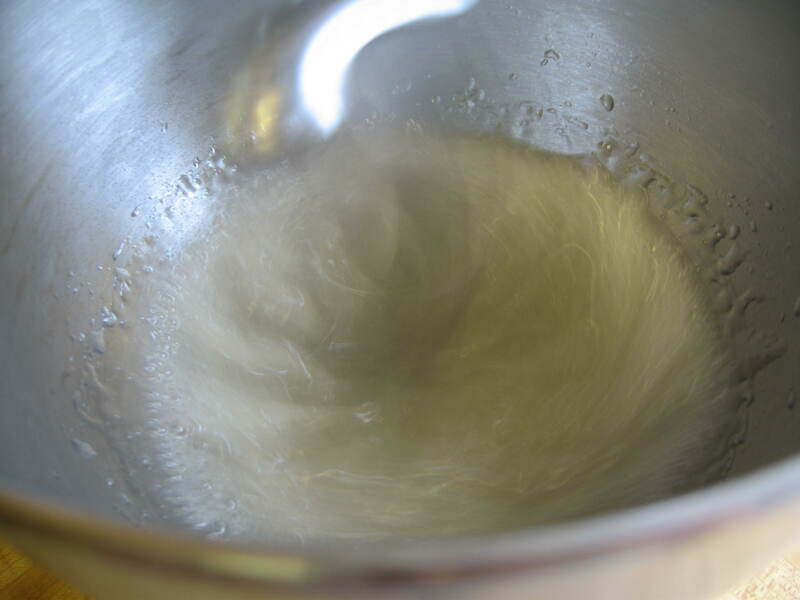 Then, put the bowl onto the mixer, turn it on and whisk on high for 10 minutes until soft peaks form. Here’s where you have to work fast. Fortunately, after a bit of trial and error, Ashleigh and I figured out the simplest way of getting these piped before the ‘mallow hardens. 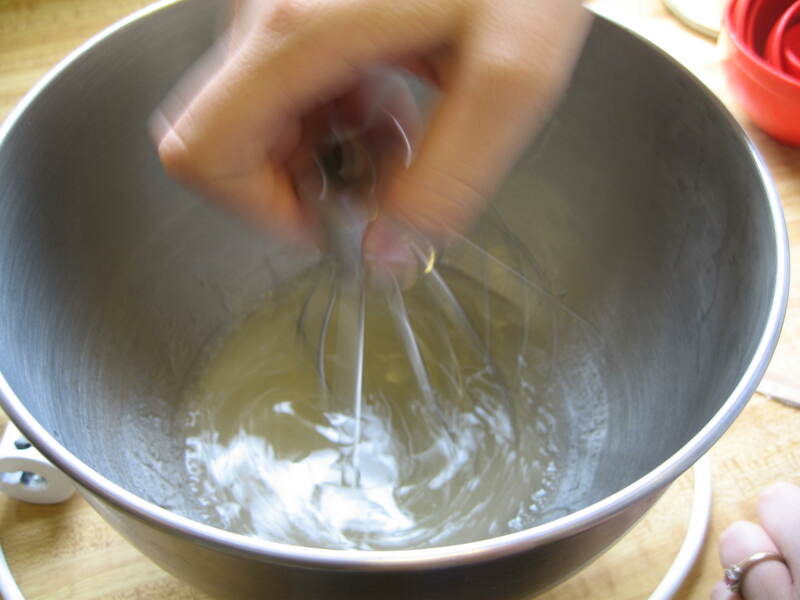 (Good news, if it does harden, simply turn the mixer on high again until it heats up enough to soften.) 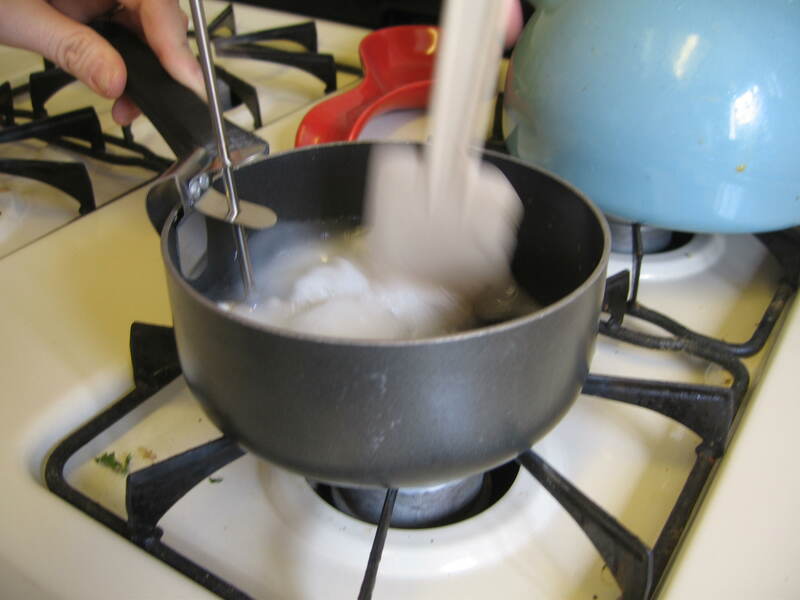 To pipe them, simply fill a piping bag fitted with a 1/2″ tip. 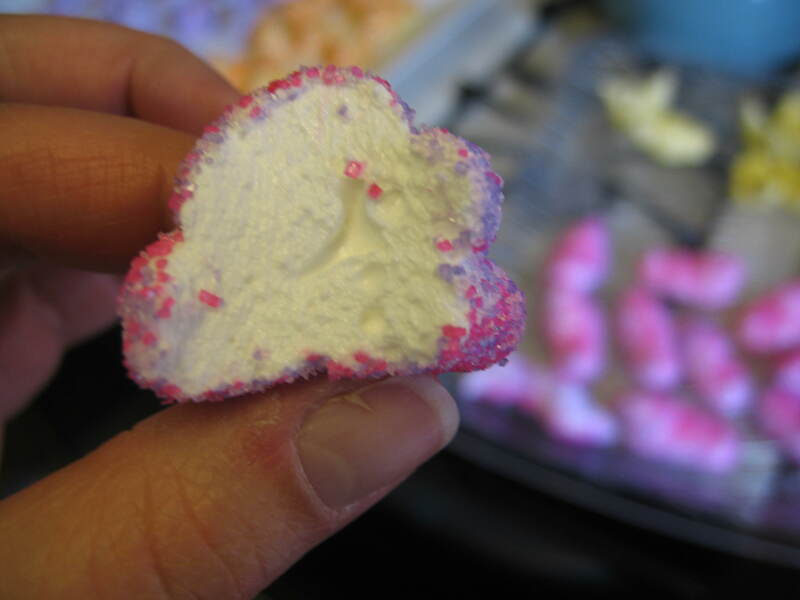 (We used Wilton #12) In our case, we split the marshmallow between two bags and each piped a tray. 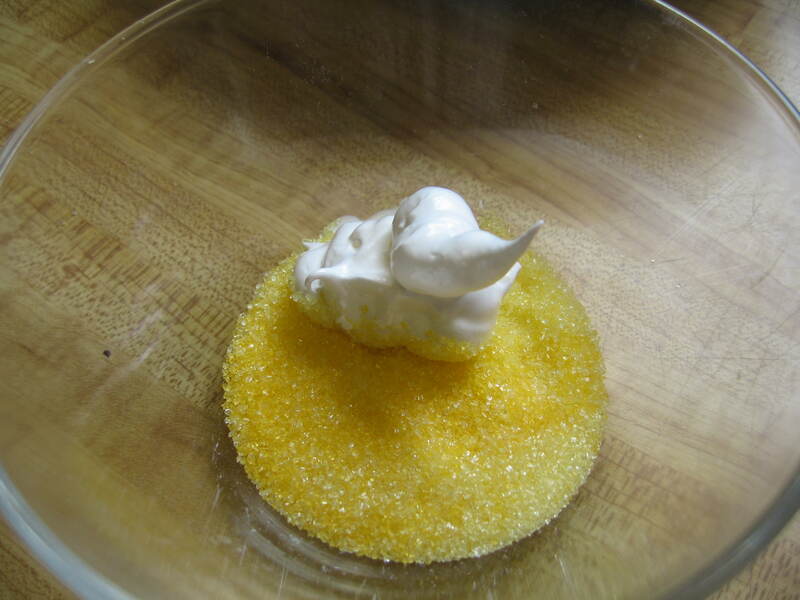 We first tried piping into a bowl of sugar, thinking it would be easier to roll it around in there. That may have been the case towards the end, but at that point our piping skills hadn’t been honed, so that idea was canned. Then we tried what the recipe actually called for, which was piping them onto a sheet pan with sugar sprinkled on the bottom. 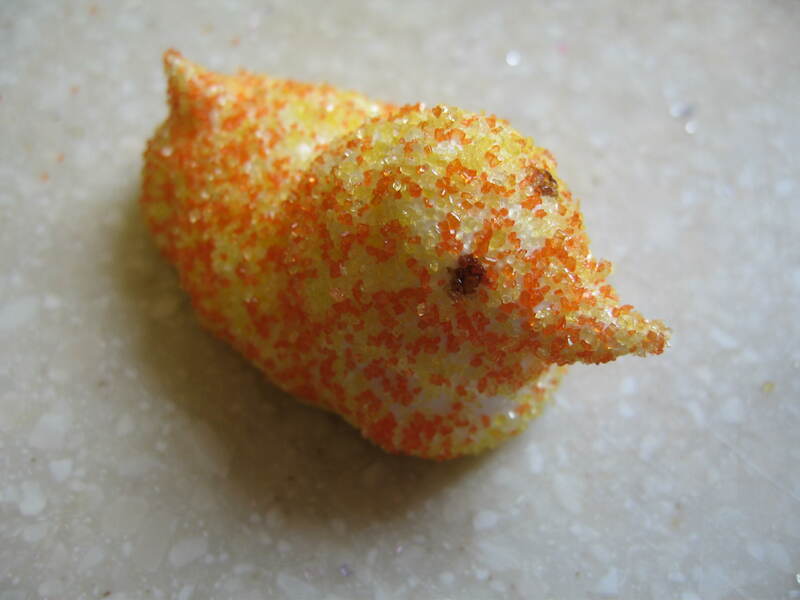 It’s not as easy as it seems to distribute that sugar evenly, but we made it work. 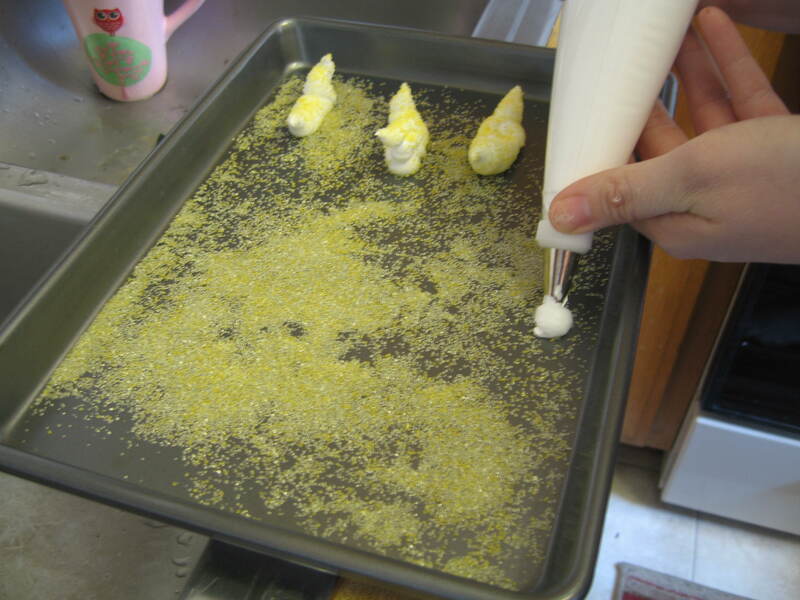 We decided to combine the ideas behind our first and second attempts – so we piped onto the sheet, sprinkled with sugar, and then rolled them around in a bowl of sugar to get all the sugar-free spots. Mmm, delicious camouflage. 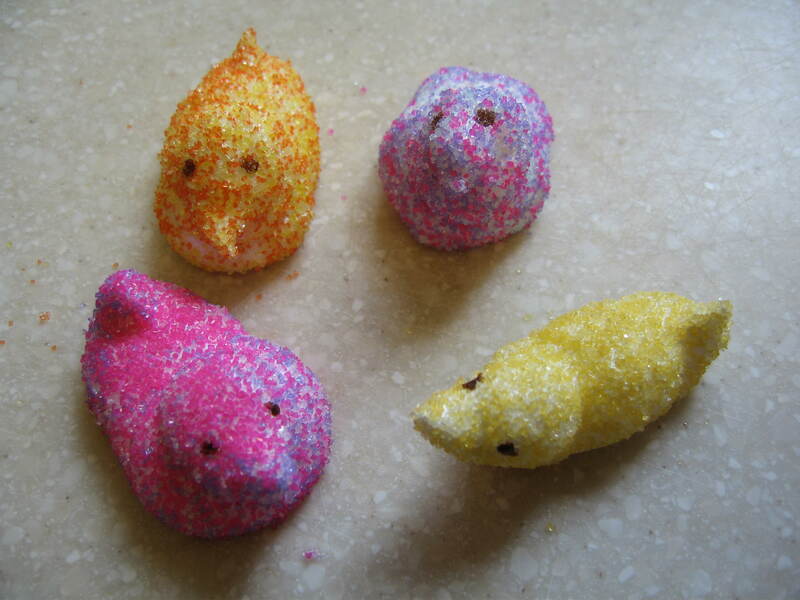 And also functional – once they’re covered in sugar, you can actually pick them up! From them on out, it was pretty easy peasy. The directions are correct, however, in urging you to pipe these out as quickly as you can. 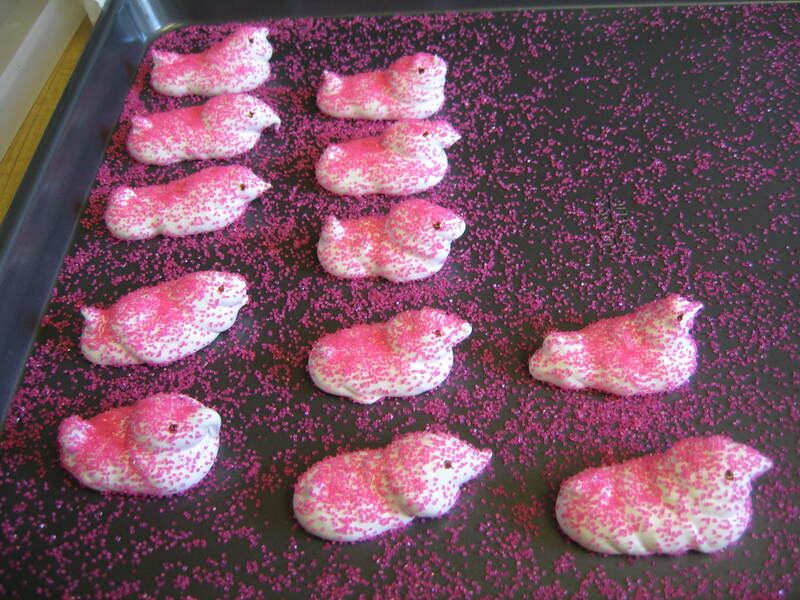 Don’t bother sprinkling the tops with sugar until they’re all piped. They won’t harden so quickly that the sugar won’t stick. 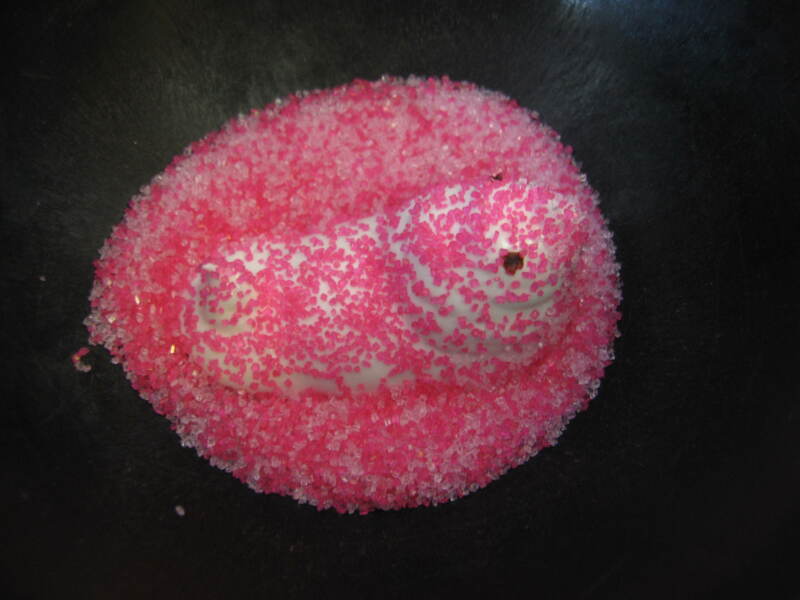 As for shaping the peeps, I found it easiest to pipe a fat little body and then layer up the top to form a head. On the other end, I added an extra dollop to form a tail. If that makes no sense to you, don’t worry, just pipe the best you can. We definitely ended up with some animals that looked nothing like chicks. From the top left – an elephant, a snake, a frog, a dragon (you can’t really see the spikes sticking off its back from this angle), and a snail. 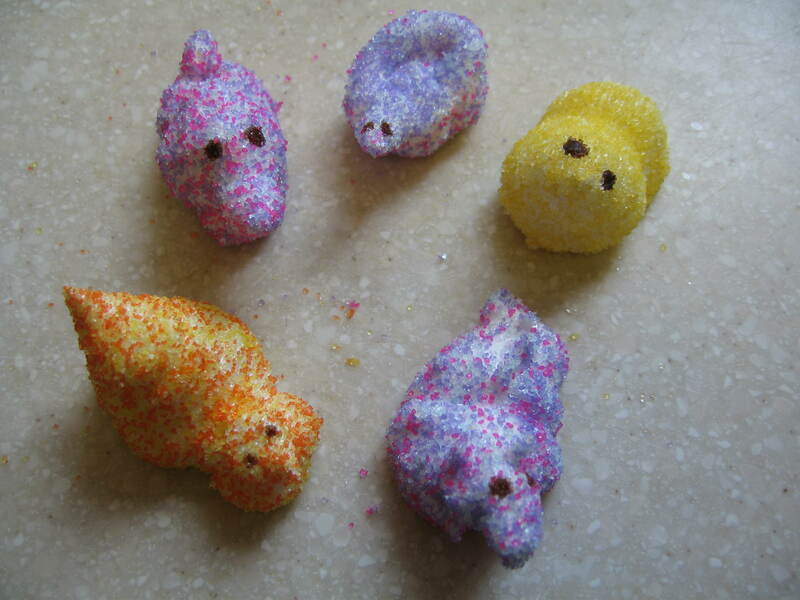 Not your average Easter crew, but tasty nonetheless. I’ve already decided that I’ll make these for every holiday or group event from now on and just shape them and color them differently. You might come to the same conclusion. These are magical! LOVE them!!!!! I think I need to plan a trip to LA so that we can bake together for an entire week! Great job! They are so cute!